The Starbucks App is a convenient way to pay in store with your phone. Rewards are just at your fingertips! 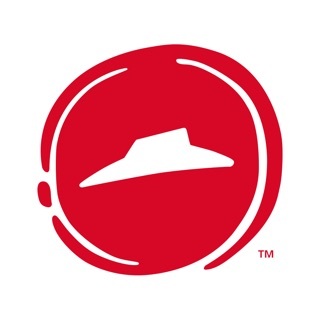 You’ll collect Stars and start earning free drinks and food with every purchase. 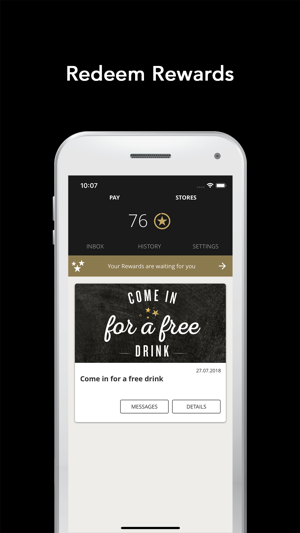 Register your Starbucks Card in the app and start collecting Stars today – delicious rewards and special offers are waiting! Reload your Starbucks Card with a few clicks by your credit card or bank transfer. 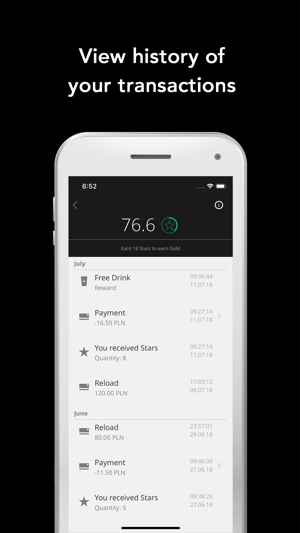 Save time and earn Stars by paying with the Starbucks app. Enjoy your favorite drinks and food even if you forgot your wallet. 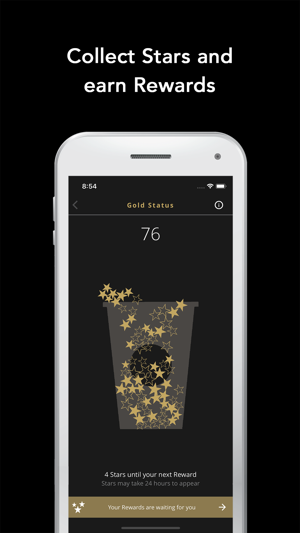 Track your Stars and redeem rewards for a free drink of your choice in Starbucks. 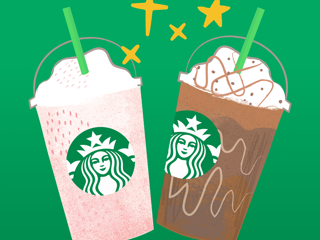 Be the first to know and receive unique offers as a Starbucks Rewards member! See stores near you, get directions and check opening hours whenever you want to taste something delicious. 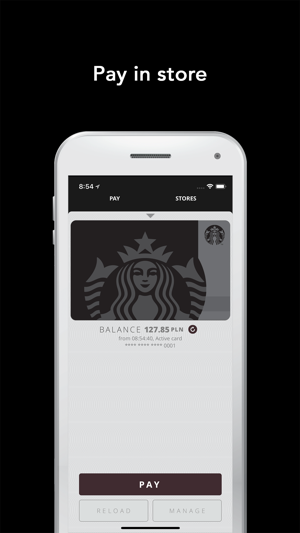 Check your Starbucks Card balance, view past purchases, see your status in the program and choose your favorite Card design. We’re so happy you’re with us! 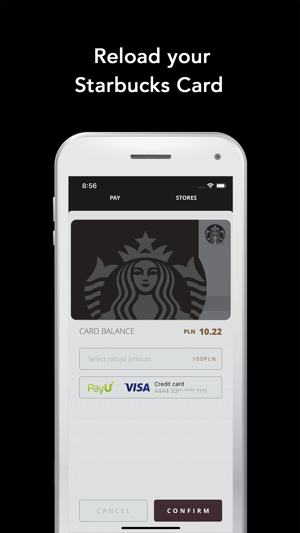 Do you know that using Starbucks app is now more convenient and rewarding? Download the latest version 1.2.7 today. - you will appreciate the improvements and better app performance: for you, we have made a number of improvements and adjustments. - pay faster with 'Shake to Pay': simply shake your phone and scan the QR code in store – that’s it! - easily change the language of messages received from us (e-mail, push, message center): you may do so in your account settings. The app itself is fine when it doesn't completely lock itself, demanding an update. Thanks to geo restriction, it can only be updated if the phone is set to the local app store (Poland and maybe Czechoslovakia). This means that any travelers or expats who would use the app have to choose between Starbucks and all their home region benefits from Apple like music and other things as they would need to change their Apple ID region. Not customer centric like the original Starbucks ethos. Hello, thank you for review. With our app you can pay in Poland and Czech Republic and for convenience of the Starbucks CEE app users it is limited to these countries. If you have any issues downloading the app, please contact with our Customer Care who will be happy to support you. Please pay yourselves a decent app developer since this looks like a bad intern job. The app works fine but when I try to add funds to my card, it uses incorrect currency and there’s no way (as far as I can tell) to change it.